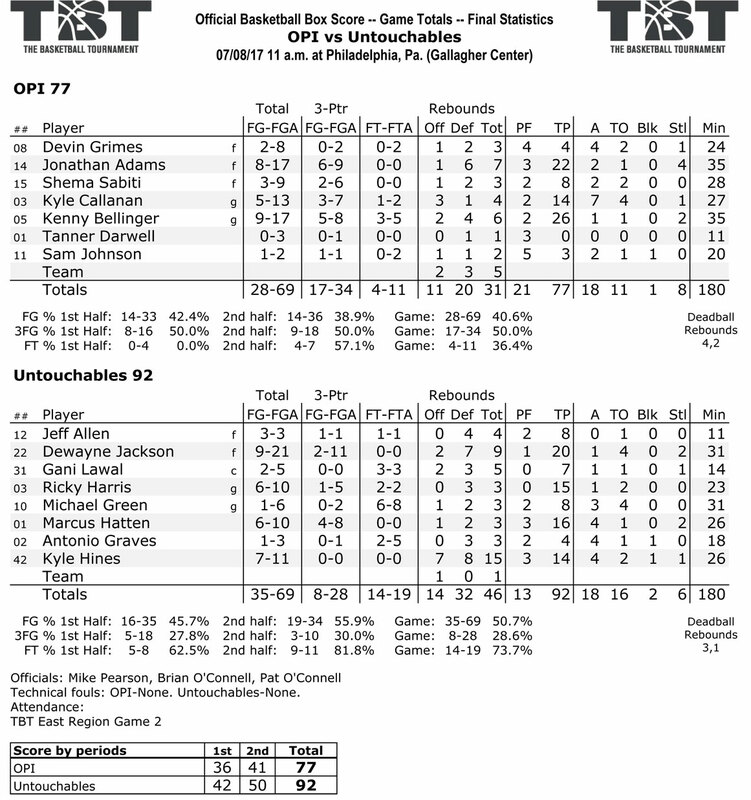 #1-seed FCM Untouchables pulled away in the second half for a 92-77 win over #16 OPI. Leading by six at halftime, Untouchables shot 56% the rest of the way and held OPI to 39% in the second half to outscore them 50-41. Dewayne Jackson paced the Untouchables with 20 points while Kyle Hines notched a double-double with 14 points and 15 recounds. OPI was led by Kenny Bellinger with 26 points and Jonathan Adams with 22 points. Untouchables outrebounded OPI 46-31 in the game.